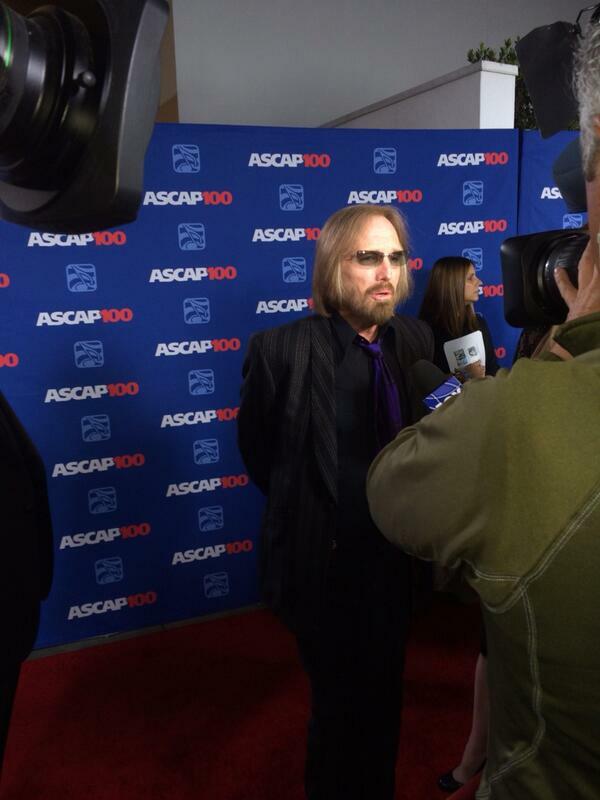 Attended the ASCAP (American Society of Composers, Authors and PUblishers) 31st annual Pop Music Awards last night at the Loews in Hollywood, where the organization honored rocker Tom Petty, composer of countless hits like “Don’t Come Around Here No More” and “Refugee,” with the prestigious Founders Award.. Petty was introduced to the audience by fellow songman Jackson Browne. “If you want to spend an evening noticed by no females go out with Jackson Browne,” quipped Petty has he took to the stage. “My life is one long recording session and for that I’m grateful,” said Petty in receiving the award, who referred to himself as just a “sh**kicker” from Gainesville. The band, fun, was also honored and picked up the ASCAP Vanguard Award, while Robin Thicke’s “Blurred Lines” won its writers, including Thicke, Clifford T.I Harris and Pharrell Williams, best song of the year.